Jonathan asks, "How can someone create an Audible sound file from an mp3 or wma? Is there another reduced size file format available?" Audible's file format is proprietary. To create an Audible file, you need to work directly with Audible. Depending on what type of audio content you are working with, you might not get any real advantage from their format anyway. Audible files are optimized for voice only audio content. While they can make music files noticeably smaller, the way the Audible codec works, it would also make a music file sound noticeably awful. If you happen to have voice audio and want the advantages of smaller files sizes with no noticeable quality loss, there are two ways you can achieve optimal sound at small file sizes. My favorite way to get great sounding voice audio in small file sizes is using the Windows Media Audio Voice 9 codec. 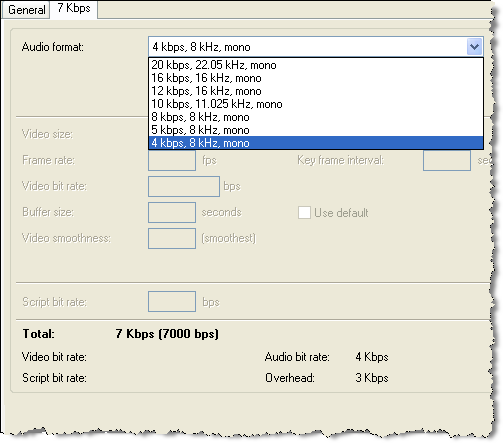 You can create Windows Media Audio files using this voice codec with Windows Media Encoder. Before proceeding, you need to download the free Windows Media Encoder 9 Series. To create a WMA Voice 9 file, open Windows Media Encoder and choose the New Session option to Convert a File. Select the file you want to convert, choose a name for your output file (which might simply be the original filename.wma), and select File download (computer playback) on the content distribution screen. 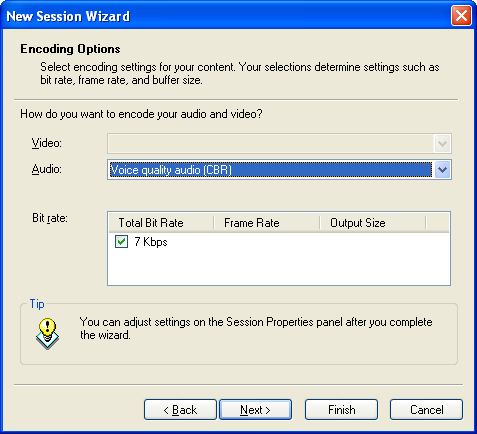 In the encoding options, choose the preset for Voice quality audio (CBR). At this point you can click finish to start encoding or click next if you want to add detailed tagging information to your audio file. When you're finished, you get a file that will be listenable and incredibly small. If the audio was recorded in a quiet room, it might even sound great. Chances are, you'll want to open the Properties setting and choose one of the other presets until you find an acceptable balance between file size and sound quality. Set the bitrate to 32 kbps. Set the sample rate to 22,050 Hz and choose Mono output. In this scenario get a file at least double the size of the Windows Media file encoded above, but it will be compatible with virtually any PC as well as being compatible with iPods. It is possible to match the file size of what Windows Media Audio Voice accomplishes, but in order to achieve the same audio quality, you need to create a much larger MP3 file. Apple offers voice audio files with file sizes and audio quality comparable to Windows Media Voice Audio using the AAC option in either iTunes or QuickTime Pro. The disadvantage to this is the files typically require either iTunes or an iPod.